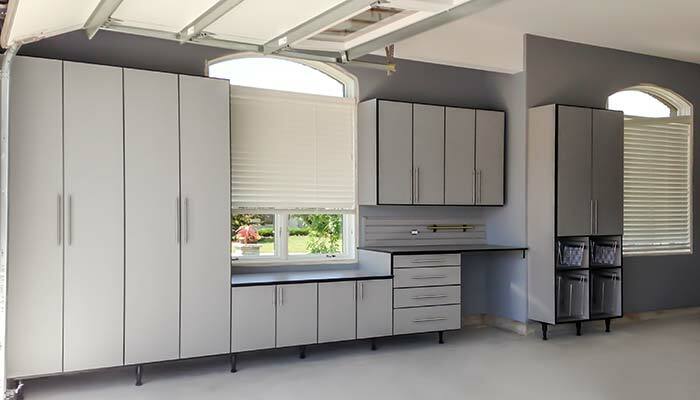 This garage is so nice, it functions as part of the home's living space. A mud room section is included against one wall, offering a large amount of storage for shoes, hats, and gloves. 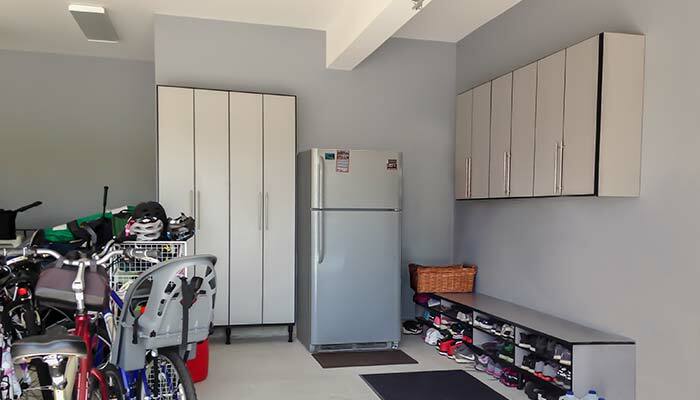 The top of the shoe cubbie cabinet functions as the perfect spot to sit down while you change from roller blades to regular footware.